The sculptor John Cassidy (1860-1939) came from a farming background, and was born and grew up in County Meath, Ireland. In about 1880, he left to work in Dublin, where he developed his artistic talents by studying at Art School in the evenings. He then moved to Manchester, and entered the Manchester School of Art in 1883, becoming an assistant teacher there in 1887. Eventually he became Hon. Treasurer of the Manchester Academy of Fine Arts. 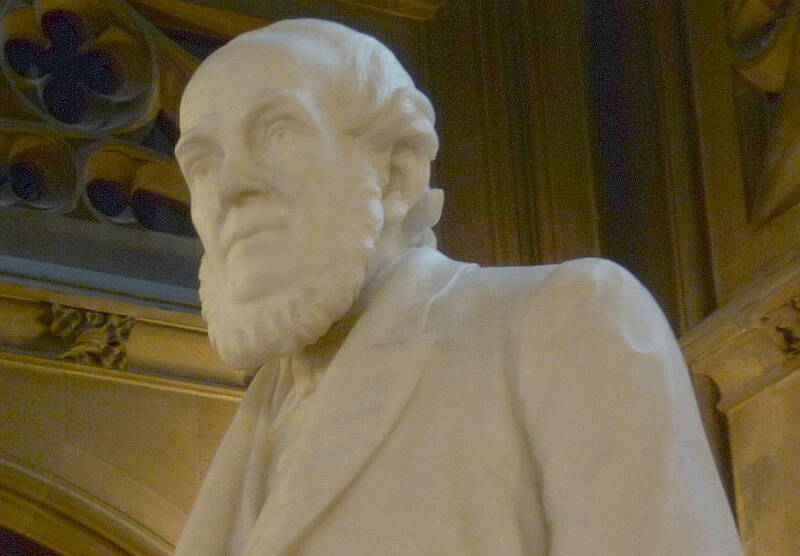 Best known for his life-size portrait sculptures of local worthies, he had some notable patrons, including Enriqueta Rylands, the widow of the wealthy textile magnate John Rylands. After the World War I, Cassidy was much in demand for war memorials. He is also remembered for busts, architectural sculpture, some larger allegorical pieces, and the dolphin and winged creatures adorning Thomas Worthington's fountain in Albert Square, Manchester. Hulme, Charlie. "The Life of John Cassidy" John Cassidy: Manchester Sculptor (an excellent resource for Cassidy). 3 August 2012. Merritt, Douglas. Sculpture in Bristol. Bristol: Redcliffe, 2002. Print. Noszlopy, George T., and Fiona Waterhouse. Public Sculpture of the Black Country. Liverpool: Liverpool University Press, 2005. Print.